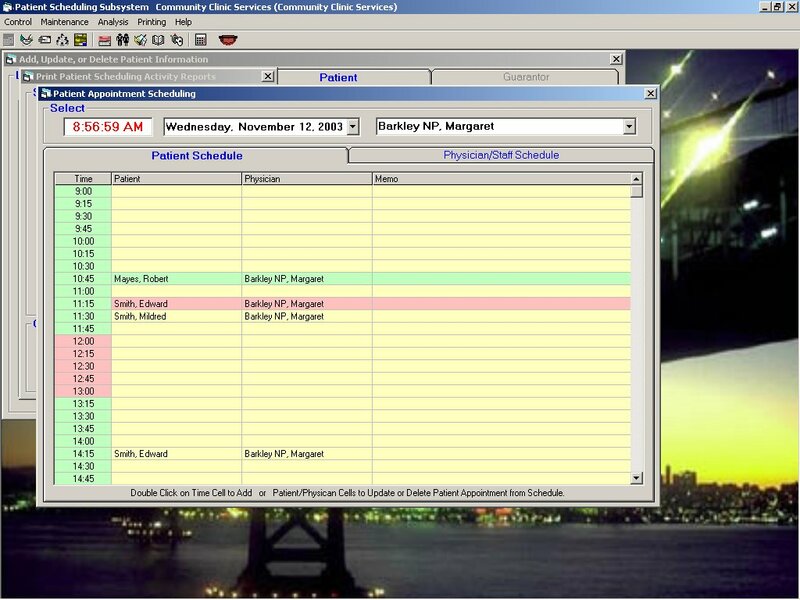 You can manage all appointments for all physicians from one screen. Double-clicking on a time slot allows you to add an appointment or change one that is already scheduled. This subsystem will manage all of your patient information as well as all of the physicians that you have on staff. Powerful analysis screens allow you to better manage your staff and better serve your patients by analyzing peak times and dead times during your work day. With the ability to print out schedules and patient worksheets, you will always have the information that you need right at your fingertips.